Châtillon-sur-Seine, with a declining population of about 5,500, is an unremarkable city in the Côte-d'Or department of the Bourgogne region. 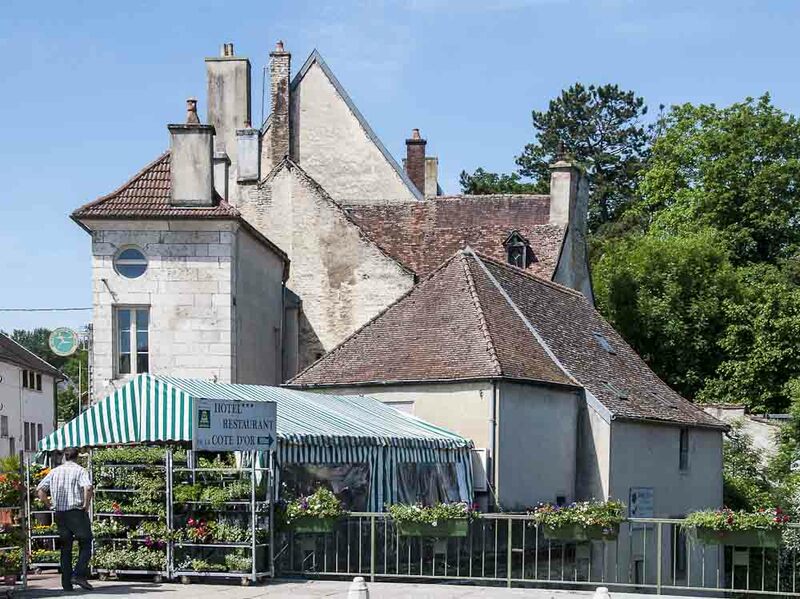 Around 150 miles from Paris, about 2-3/4 hours away by road or 1-3/4 hours by the TGV, Châtillon is favored by its proximity to the A6 motorway. The city is criss-crossed by the upper reaches of the Seine whose source is about 25 miles away. Early in WWI Châtillon's Marmont Castle was the headquarters of General Joffre who launched the first battle of the Marne from there on September 5, 1914. At the end of WWII Châtillon was liberated by a joint effort of the 1st Regiment of Marines and the 1st Regiment of Moroccan Spahis on September 12, 1944. The local economy is predominantly agricultural although there is a small industrial base comprising a metal packaging company and a plywood manufacturer jointly employing a little over 300 people. There are a number of sights around town, some of which can be seen here. Auxerre is the capital of the Yonne department in the Bourgogne region of north-central France. 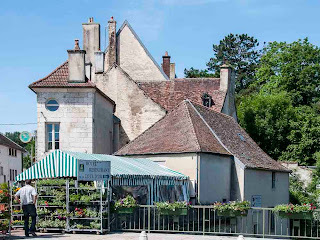 With a population in the order of 45,000 it is a commercial and industrial center, with industries including food production, woodworking and batteries in addition to world-famous Burgundy wines including the renowned Chablis. In the 1st and 2nd centuries CE the city was a vibrant Gallo-Roman center and by the 3rd century it had become the seat of a bishop and a provincial capital of the Roman Empire. 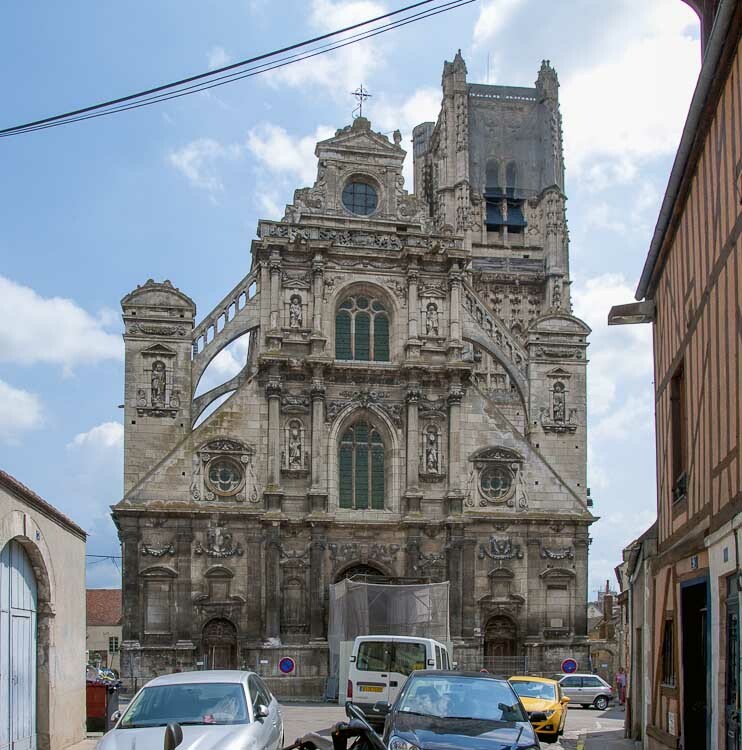 In the 5th century it received a Cathedral and by the late 11th-early 12th century the area was included inside a new line of defensive walls built by the Counts of Auxerre. 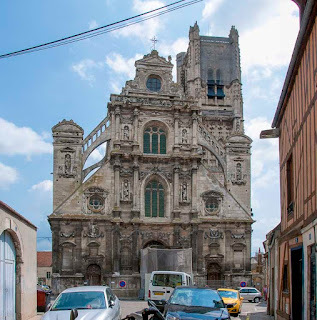 The city actually became part of France under King Louis XI but went on to suffer significantly during the Hundred Years' War and the Wars of Religion. Today, Auxerre maintains a clearly delineated "old town" with all the juice in a compact area on a prominence on the right bank of the river Yonne while modern Auxerre is spread out all around and is relatively bustling. After leaving Chalons we overnighted at a quaint little campsite in Arcis-sur-Aube that was run by Dutch folk. To attest to their Dutchness, there were several little windmills (run by electric motors) scattered around the grounds, some connected by cute little purposeless bridges. What it is to be Dutch! Our destination from here was Troyes, a whopping 18 miles away, where we had a prearranged lunch appointment for the following day. We felt unhurried. 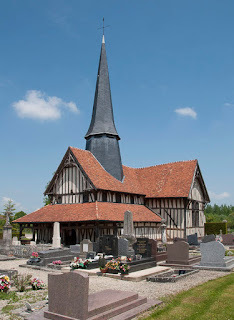 Somewhere along the way, Marian had picked up a little tourist booklet about the Aube department that we would be driving through, and had noticed a number of half-timbered churches being promoted. We decided, having never seen such an edifice, that we would wander off track and visit a couple of these on our way. Check out what we found here. Ninety miles due east of Paris is the modest town of Châlons-en-Champagne, population 47,000. 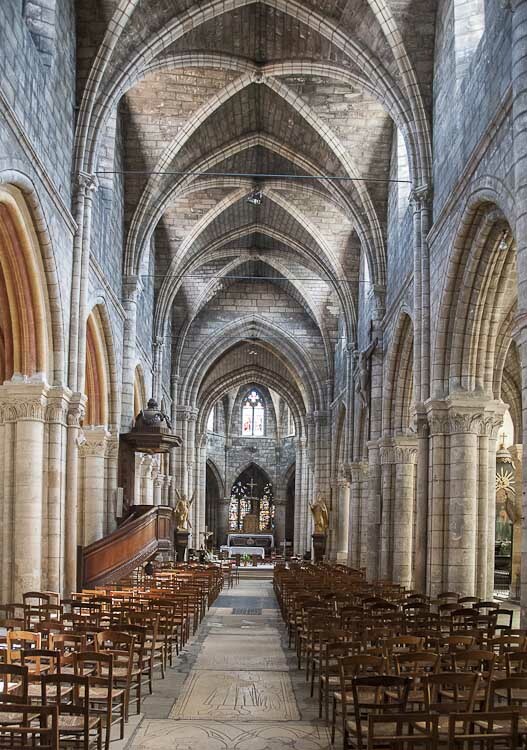 Known as Châlons-sur-Marne until it seemingly suffered an identity crisis in 1998, Châlons-en-Champagne is not only the capital of the Marne department but also the entire Champagne-Ardenne region despite being far from the region's largest city. The city is however, a significant transport hub being located close to the intersection of a major road link connecting Paris and Strasbourg and another joining Lille to Lyon. Châlons is also home to the third ranked international freight airport in France and is further served by the TGV - Train Grande Vitesse or high speed train - connecting it to Paris, Reims and Verdun among others. Our leisurely walkabout in the genteel decay of Châlons filled a pleasant few hours on a sunny spring Sunday. See here for more pictures.